A new movie about two United States Marines’ difficult return home from war is set to release in 2019. And behind the movie’s suspenseful official trailer lies an impactful hip-hop song featuring two Anderson University graduates. “Submission” is directed by J.M. Berrios, an award-winning filmmaker based out of Greenville, South Carolina, with family ties to Anderson University. His father, Joe Wehunt, is a professor of worship leadership at Anderson University and his brother is a recent graduate of Anderson. Berrios holds a degree in cinematography from Full Sail University, and he founded Lingo Films in Greenville. While working on “Submission” last year, Berrios contemplated a transition between a bagpipe infused funeral scene and the accompanying footage. He decided he needed a song that was not only tailored to the specific scene, but also thematically coherent overall. Berrios presented his idea to his brother, Josef Wehunt, who was a senior in Anderson University’s commercial music program at the time. Wehunt wrote and composed “Empty Words,” a thematic hip-hop song that captured the essence of the movie. He recruited Christian rapper Luis Delgado to perform the spoken portion of the song, and recorded with him in Georgia. Still, Wehunt needed someone to cover the vocals. 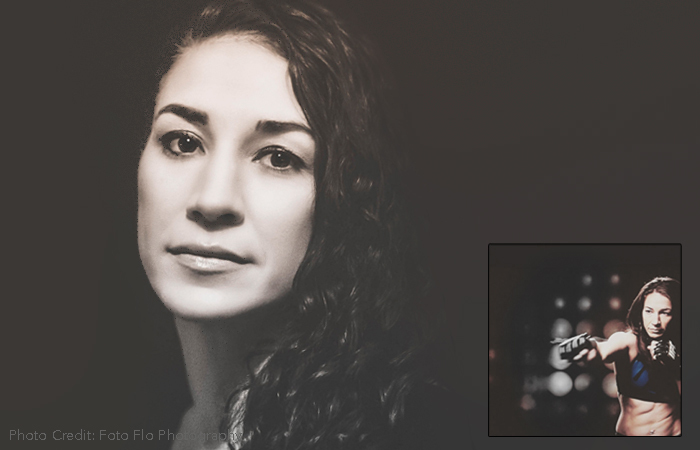 He knew his peer, Katie Soto Macyke, had a voice that would be perfect for the song. “Katie has been given a unique talent in that she has the ability to hear music and be able to harmonize with the melody. Not every singer is able to do that. It’s a God-given talent,” said Kelley Norwine, co-director with her husband of campus music group AUthenticity, in which Macyke performed. Macyke said that she and Wehunt had been friends for a long time, and she was excited when he asked her to be a part of the song. They recorded her vocals for “Empty Words” at her home. “It only took about 10 minutes. We were in and out,” Wehunt said. Wehunt polished the master track and sent it back to Berrios. A couple of months later, right after Wehunt and Macyke graduated, the movie’s producer informed Wehunt that they selected his song to be the theme of the movie. The song will accompany other music featured in the film, including songs by Christian rap artist NF, select tracks by Keaton Simons and work by the film’s credited composer, Brandon Higganbotham. As some of the first commercial music graduates of Anderson University, Wehunt and Macyke’s contributions to “Empty Words” reflect the type of work that graduates of the new commercial music program will be prepared to create. Wehunt is now teaching guitar classes in schools and continues to do some do some recording work for Anderson University. He admits that “Empty Words” has been his most exciting project so far. “I never thought I would be singing for a movie. That’s just crazy to think about. The people you grew up watching on television, you’re working with,” Wehunt said. As part of the founding group of AUthenticity, Macyke said that her most of her studies at Anderson were hands-on. “Eighty percent of what I learned was through experience,” she said. Macyke works as a worship leader at Thrive Church in downtown Greenville. “I’m more confident in my worship leading because I have well-rounded knowledge,” she said of her education at Anderson University. She said she felt like Anderson University prepared her for her career and has provided her with exciting opportunities. “Katie and Josef were very dedicated in their endeavors to become ‘first call’ commercial musicians. I am not surprised that they have had success so quickly after graduating from AU. We look for many more big things from each of them as they are both extremely talented,” said Doug Norwine, a professor of music at Anderson University and Director of AUthenticity. For press inquiries, please email press@submissionmovie.com. U.S. Marine Corps veteran Scott Pryor is a screenwriter and producer known for Pale Horse (2014) and The List (2015) starring Montel Jordan. Pryor is the Founder and CEO of Foretress Films. Foretress Films is in post-production on their most recent feature “Submission” starring Eric Roberts, Darrin Henson, Kevin Sizemore, and Pryor. He studied finance and economics in South Carolina, law in Minnesota and Hungary and studied language in Russia. He also works as a successful trial lawyer who won the prestigious litigator award for top 1% of trial lawyers in the entire country. He has his is own practice in the Atlanta-area that focuses on personal injury. When making a feature, there are always plenty of obstacles, from financing to casting to finding the right partners. So, as you know, we’re impressed with Foretress Films – tell our readers more, for example what you’re most proud of as a company and what sets you apart from others. What sets us apart is our deep commitment to storytelling that is relevant, connects to our audience, and deeply moving. We want to produce films that have deep characters who have to make hard choices that deeply touch our viewers. Our first feature film The List (2015) won several awards, including the WorldFest Houston Platinum Remi Award and ICFF’s Most Inspirational Feature Film Award. We are excited to release our next feature “Submission”, and are hopeful to land a theatrical release. We are looking forward to our release of our feature “Submission”. Pryor is currently writing another screenplay for his next feature. Georgia film producer Gloria Stella was searching for the perfect place to shoot “Submission,” a film set in Afghanistan’s wind-swept mountainous region. Budget constraints meant she needed to find a location in the southeast. Luckily, she discovered Sunnyside ATV Paradise located in Wrens, GA, just southwest of Augusta. The film industry was a welcome addition to Sunnyside’s revenue as well as an economic opportunity for others in the community. Sunnyside ATV Paradise has it all. “We have 998 acres of sand dunes, swamps, craggy hills, cliffs, mud, old mines, and forest,” says Kurt Warneke, co-owner and operator. Sunnyside is located on the land of a former kaolin mine. Kaolin is found only in a narrow, 20-mile-wide strip along the Fall Line, which separates Georgia’s Coastal Plain from the Piedmont region. Kurt Warneke and Jimmy McPeak opened Sunnyside seven years ago. They wanted a safe place for their kids to ride their ATVs and a welcome space for the community to spend time four-wheeling. Their park has 50 miles of trails for four-wheeling, camping and fishing. They host special events like Jeep Owners of America weekend, ATV races, charity fundraisers and music concerts. The three days “Submission” spent filming at the park brought an economic boost to the area. Sunnyside not only provided the setting, but also catered food for the crew. The crew stayed in hotels in Augusta and Wrens. Locals played ISIS soldiers and food vendors came out to the park during filming. And of course, a port-a-potty company was needed, too. Kurt widened the road in the park to make it easier for the “Submission” film crew to get access to remote areas. Sunnyside ATV Paradise has been the location for other filming as well. Corey Smith’s music video for “Feet Wet” was shot there and Kurt’s son, Parker, got a starring role in the video. Recently, a new network series scouted the location as a potential place for filming. For press inquiries, email press@submissionmovie.com. WRENS, Ga. – A Marine sniper and his spotter targeted and opened fire on Islamic State extremists in a former kaolin mine turned ATV park north of Wrens. 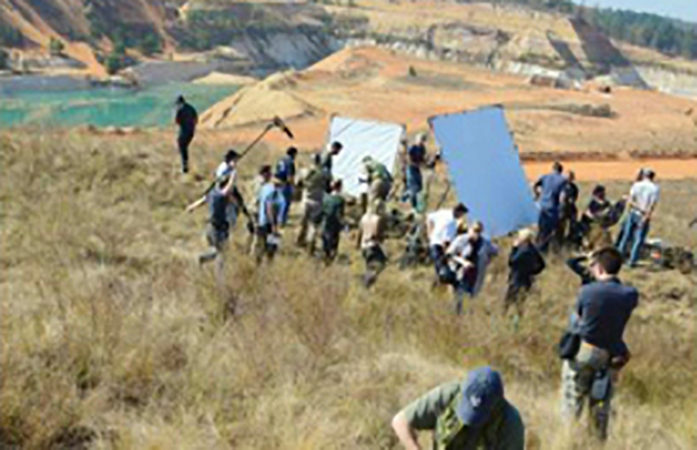 The craggy, mineral-lined slopes, brittle grass and wind-scoured terrain of the park doubled as Afghanistan mountain slopes for two days of filming the upcoming movie Submission. Stella, an Augusta State University alumna who got her start in the film business in Augusta, said that friends told her about this rugged all-terrain-vehicle park on Highway 221 in north Jefferson County. Kurt Warneke, the owner and operator of Sunnyside ATV Paradise, said that while they have had one music video shot there, this is the first time in the eight years the park has been open that it has had a 60-plus film crew make use of the 900-acre park. The movie’s director, J.M. Berrios, said that although the location was a tough place to get in and out of, it provided a great look and accommodated the story and shooting well. The movie, which started its third week of filming this week, is primarily being shot in Greenville, S.C. 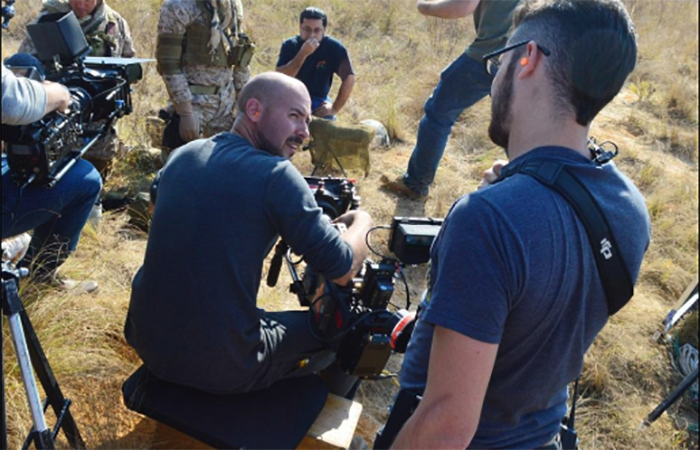 According to Kristy Hodge, the location manager for the film, it tells the story of two Marines who return home after an interrogation by the Islamic State. “One struggles to survive while the other fights his way back into the mixed martial arts world that he left behind years ago – looking for a fight worth living for,” Hodge said. The movie is being made by Foretress Films, in association with Lingo Films and Skyline Post. The lead role of Staff Sgt. Codey “Bear” Blackbear is played by Scott Pryor, the owner of Foretress Films and the author of the script. Bringing the production so close to where she went to college, Stella reached out to Brad Owens and the Augusta Film Office. Stella said that in all there were about 15 Augusta area residents involved in the shooting. There were also people working in general production, grip and electrics, setting up lighting, as well as a few stuntmen and actors from the Augusta area working on the film. “Another key is that everyone here is working and getting experience. One of the key components to attracting a movie to your area is crew and service availability, ” Owens said. Stella said she sees the potential for a lot more productions in the area. After the movie is finished, she said, they hope to take it to the bigger film festivals such as Sundance, Toronto and Cannes, and then they intend to negotiate distribution with the studios. For press inquiries, please contact press@submissionmovie.com. 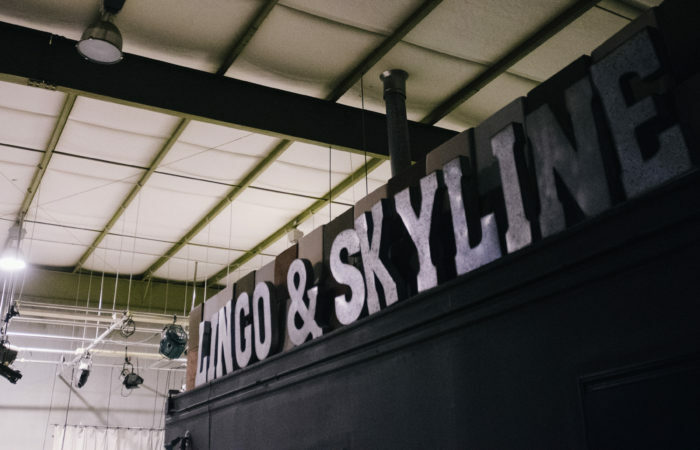 The film industry has quietly been growing in Greenville, and two local companies, Lingo Films and Skyline Post, are leading the charge. Since 2012, J.M. Berrios and Randall Owens, founders of Lingo Films and Skyline Post, respectively, have combined their companies’ production and postproduction services to create faith-based web, television and video content. They also produce commercials for national and local clients, including Craftsman, Verizon, ScanSource and Greenville Health System, and offer rentals for state-of-the-art television and film equipment. Their current major project, set to be released mid to late 2017, is the feature-length film “Submission.” Berrios — whose production credits include lighting on TV’s “The Vampire Diaries” and camera operation on the film “Leatherheads”— is directing the film, while Owens is the executive producer. For the past month, “Submission” has been filming in various locations throughout the Upstate. Originally, “Submission” was going to be shot in Atlanta, not Greenville, said Owens. Pryor and producer Gloria Stella initially approached Lingo Films for equipment rentals, but they were convinced to move filming to Greenville after being impressed with the companies’ services and the location options the city offered. One of these includes the Center for Education Equity, an after-school program on Pendleton Street in the Village of West Greenville that provides academic enrichment and boxing instruction. 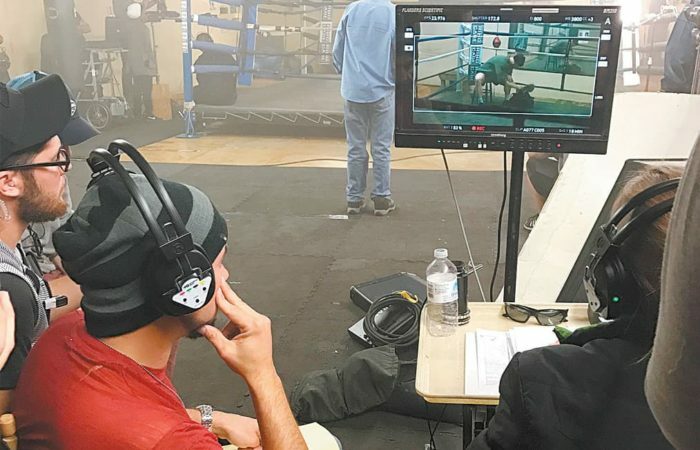 The CEE gym, which is already outfitted with a boxing ring, speed bags and punching bags, serves as the set for Bronx’s training gym, where many of the film’s pivotal scenes are filmed. But it wasn’t just the existing locations that appealed to Pryor and Stella. Lingo Films’ 5,000-square-foot soundstage, located just off of Pelham Road, was also a selling point, said Berrios. The crew was able to build different sets on the stage, including huts in Afghanistan and a locker room. “The infrastructure is there, and it’s paying off by bringing production into town,” said Berrios. Filming is now close to wrapping up, and Skyline has already begun postproduction work, which includes editing and adding special effects and the music score. The companies currently work out of Endeavor in the ONE Building downtown. “We’re working hard to promote the film industry in Greenville and develop it further,” Owens added. 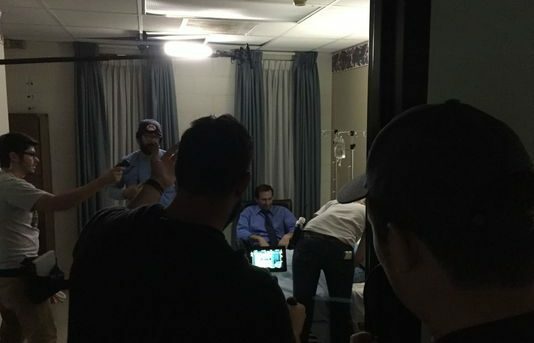 A film crew made of teams from Fortress Films of Atlanta and Lingo Films of Greenville is spending Veterans Day shooting scenes inside a former hospital in Greenville. Greenville provides much of the backdrop for the upcoming feature film called ‘Submission’, though it’s not set in the Upstate. 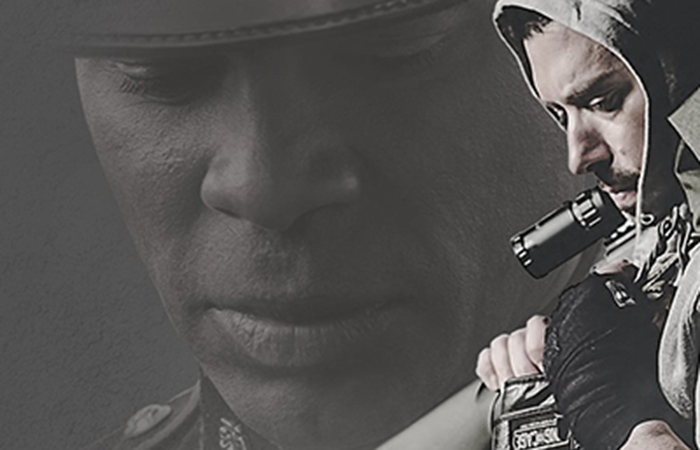 Written by Scott Pryor, who also serves as executive producer and one of the lead actors, ‘Submission’ follows the story of two veterans who come home from Afghanistan with injuries both mental and physical. Darrin Henson plays ‘Cowboy’, a marine and POW who returns from war with physical injuries that left him near death. Pryor plays ‘Bear’, Cowboy’s best friend, who served alongside him in Afghanistan and returned with demons of his own. The story is one of loss and redemption. 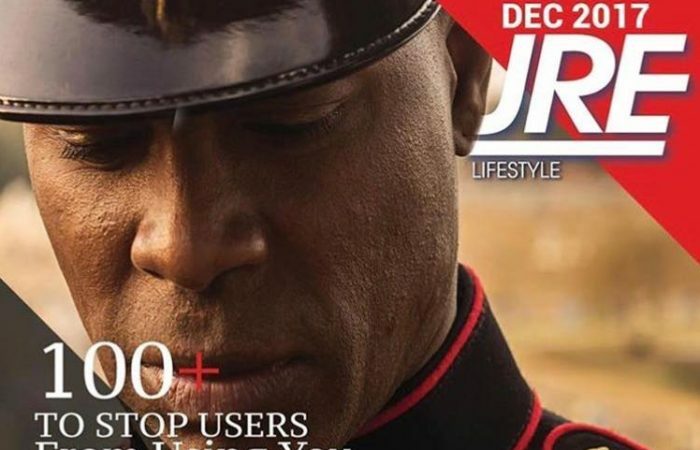 Pryor, a Marine himself, said his main goal with the film is to raise awareness for issues veterans face in our country every day, particularly mental and physical ailments that aren’t getting the treatment they need. He hopes the story, though fictional, will resonate because it touches on real issues that veterans and their families face. For Henson, who has friends who’ve served, it’s about honoring those who protect his freedoms. Justin Berrios runs Greenville based Lingo Films and serves as the director for ‘Submission’. He’s worked on everything from commercials to major feature films and though his work sometimes takes him elsewhere, he says he appreciates the scenery Greenville provides, as well as the local talent. Shooting a film here allows Lingo Films to give opportunities to local students and young people who want to get into filmmaking. “Hopefully that helps Greenville in another way,” Berrios said. The crews plan to wrap up filming at the former hospital on Saturday, but will continue shooting in various places around Greenville over the coming weeks. For press inquiries, please contact press@submissionthefilm.com. Greenville, South Carolina— Mixed martial artist Sara McMann has joined the cast of the upcoming film Submission. Sara became known as the first woman in history to receive a silver medal in Olympic wrestling after winning at the 2004 Summer Olympics in Athens, Greece. She was recently featured in People Magazine’s Olympics Collector’s Edition, highlighting her achievements. In addition to wrestling, Sara has had a passion for acting since a young age. She participated in theater productions at her high school in Marion, North Carolina and earned a Theatre degree from Lock Haven University of Pennsylvania. Submission will be Sara’s breakthrough role in a feature film. U.S. Marine Corps veteran Scott Pryor penned the script after completing last year’s award-winning The List, starring Montell Jordan. “Everyone knows that Sarah is tough but she’s also highly intelligent and super focused,” Pryor said, “I can’t wait for everyone to see her mad acting skills to boot. Sarah is a triple threat.” Pryor is currently training with Manu Ntoh, a six-time world champion fighter, in preparation for his leading role in the film. Submission tells the story of two marines after they make it home following an ISIS interrogation. One marine struggles to survive while the other fights his way back into the mixed martial arts world that he left behind years ago – looking for a fight worth living for. Foretress Films has partnered with Lingo Films and Skyline Post to produce the movie, with filming slated to begin in Greenville this fall. For more information and the latest updates and casting news, visit the film’s website www.submissionthefilm.com and Facebook page @SubmissiontheFilm. Greenville, South Carolina— Greenville-based Lingo Films and post-production company Skyline Post have partnered with Foretress Films for their upcoming feature-length film, Submission. Greenville native Justin Berrios will direct the film, written by U.S. Marine Corps Veteran Scott Pryor. Randall Owens of Skyline Post will also serve as Executive Producer on the project which is expected to begin filming in Greenville this fall. Randall Owens is an Executive Producer and Director with a career spanning over 25 years. He has won multiple awards, including Emmys, Addys and Tellys. And in 2005, Randall co-founded Skyline Post. Director Justin Berrios is also an award-winning cinematographer. He has won multiple Addys for his work in television. In 2012 Berrios and Owens partnered to form their production company, Lingo Films, and based it in their hometown of Greenville. Foretress Films produced last year’s award-winning The List, starring Montell Jordan. The filmmakers originally planned to shoot Submission in Atlanta, their home base and the actual setting of Submission—but that was before Pryor and producer, Gloria Stella, met with Berrios and Owens. After seeing what Greenville has to offer and the state-of-the-art facilities at Lingo Films and Skyline Post, the decision was made to move the production out of its home state to South Carolina. The film will mark the third feature shot in Greenville by Lingo Films, following last year’s Only God Can, starring Lisa Sheridan from TV’s Invasion and Donna D’Errico, known for her role as Donna Marco on Baywatch. Lingo Films hosted a table read for the film in their studio on July 15. “We were really impressed with the commitment and talent of the Carolina-based actors,” stated Stella. Casting details and auditions dates will be announced soon via social media. For more information, visit the film’s website www.submissionthefilm.com and check out the Facebook page @SubmissiontheFilm to be the first to see any casting calls and updates.